We’re really excited about Paper Crane! It isn’t too often that we get to visit a fantastic dining establishment with super delicious food that is still in its infancy. 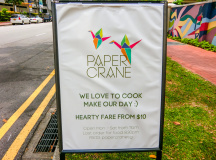 Founded by a freelance food writer and a Canadian chef trained at the Le Cordon Bleu College of Culinary Arts, Paper Crane has the pedigree to be one of the most delicious cafes in Singapore. 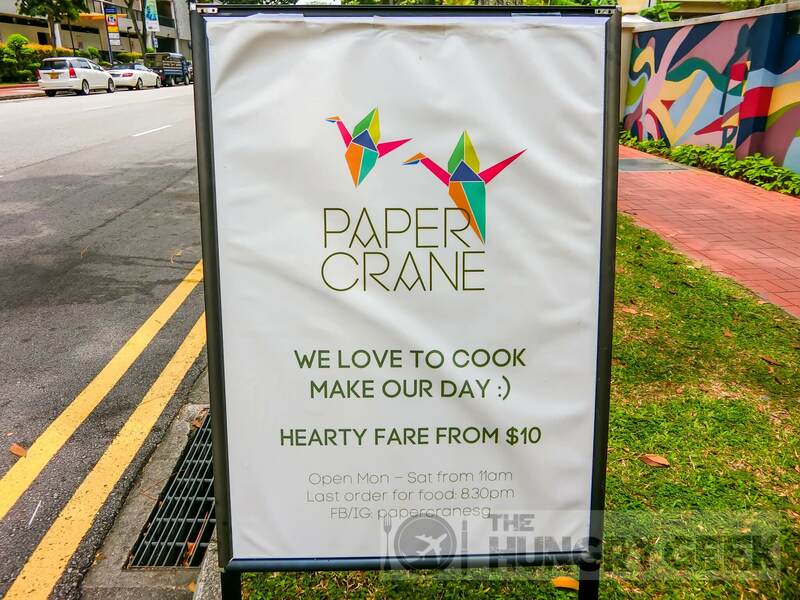 Paper Crane is located at the Singapore Council of Women’s Organisations along Waterloo Street. It is quite easy to miss to be sure to keep a lookout for the Paper Crane signage at the side of the road. We’re happy to report no queues! If you hate queues and you want to eat delicious food on a weekday night or on a Saturday, Paper Crane is a very good option. 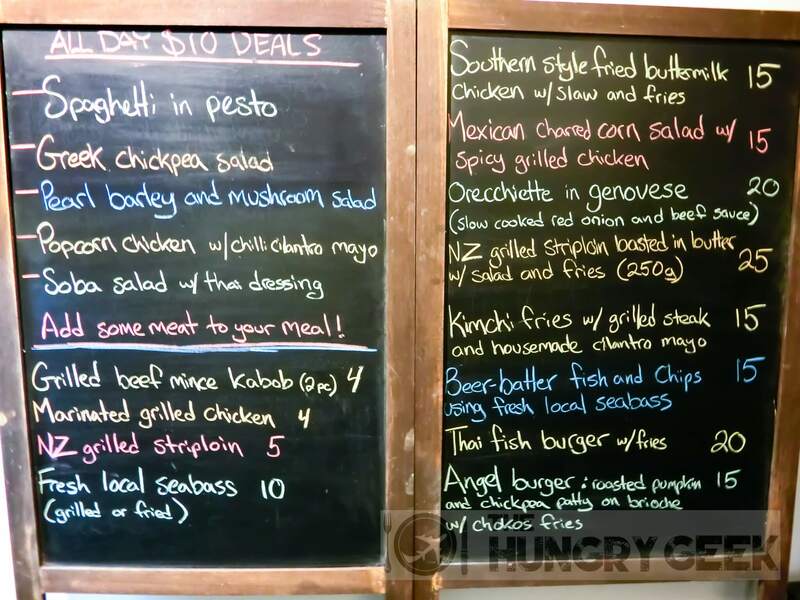 We’ve seen both the owners onsite and handling the orders and food preparation personally, so you can be assured of consistent and delicious food. This is their signature item. They marinate the fresh chicken in delicious buttermilk for 24 hours. This technique ensures that the juicy moisture is kept sealed within the chicken, and we must say it lived up to the hype. This is not your usual chicken cutlet at your western food restaurant. The chicken’s crispy skin is simply perfect, with a unique crumbly experience that is unlike any other. The chicken is extremely juicy and tender compared to the usual boring chicken cutlet options elsewhere. You can tell that this dish is made with a lot of culinary skill and you will not be able to get this level of deliciousness from a typical employee cook. Perhaps this item would be more appropriately served at a fine-dining restaurant. That said, we would have preferred a bit more chicken and a bit less batter here. We rate this dish a super delicious 4.3/5 and you can get it at S$15. You have to eat this with either their tomato sauce, chilli sauce or cilantro mayonnaise. Try the chicken with all three dips! Also, a quick word about their fries. They are OMG super delicious!! They are done with the perfect timings that you would expect from a gourmet chef and every piece is just perfectly crispy and delicious. We have verified this fantastic consistency over two separate occasions and we are happy to give their fries 4.4/5. This is one of the most beautiful dishes that we have seen. Order this and be sure to take many photographs for your Instagram pleasure. There is a very generous serving of kimchi fries with actual kimchi that is topped with perfectly done medium-rare steak under some really delicious cilantro mayonnaise. The exquisiteness in this dish is from the taste combination. Try their kimchi fries together with the steak and the mayo at the same time! It is a really surprising combination of flavours that mashes the best fragrance from east and west. We rate this dish 4.1/5, and you can get it at S$15. Some caveats here – due to the way the dish is served, the fries that is buried in the center will not be as deliciously crispy as the ones outside. Also, the steak could have been served a bit warmer. We think that they are still tweaking the timings a bit so we expect them to get this down very soon. These fish and chips are so delicious that they were recently featured by TODAY. The sea bass is super fresh and direct from Ah Hua Kelong every morning. They purchase in small quantities so the sea bass is never frozen. The beer-batter is made using Dead Pony Pale Ale which has grapefruit, orange peel and pine flavours all rolled into one. The batter is just like their fries, perfectly crispy. The sea bass is soft, fresh and fragrant. Fish and chips lovers MUST try this. I requested for cilantro mayonnaise to go with their sea bass and it matched perfectly. 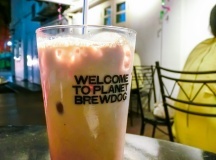 We rate this 4.2/5 and you can get it at S$15. The fries are just like the ones that you get with the Buttermilk Chicken, and they are simply perfect here as well – 4.4/5. 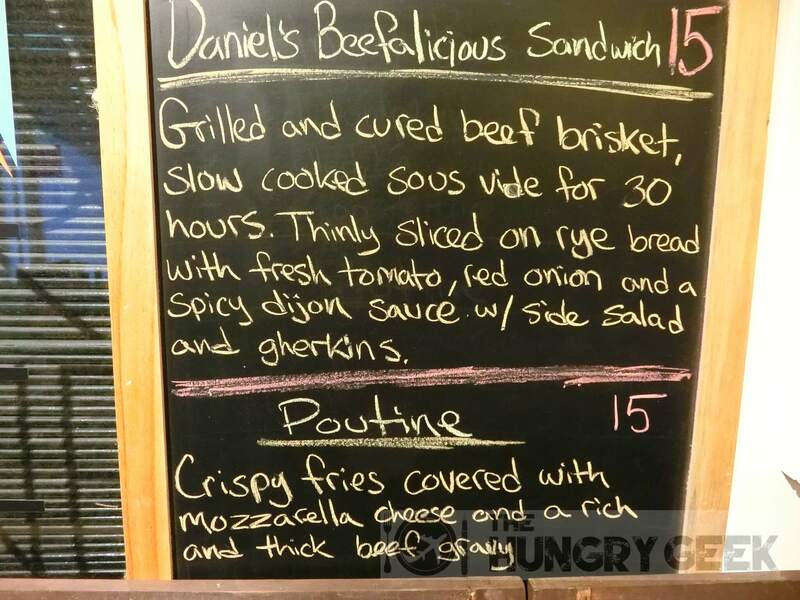 Poutine is a Canadian dish made with French fries and cheese topped with a light brown gravy. Well, the chef is from Canada so as expected, this dish is really delicious. The fries are perfectly done as usual and the beef/cheese combination is incredibly delicious. When you try and lift some of the fries up, the melted cheese slowly tears away just like in a pizza! 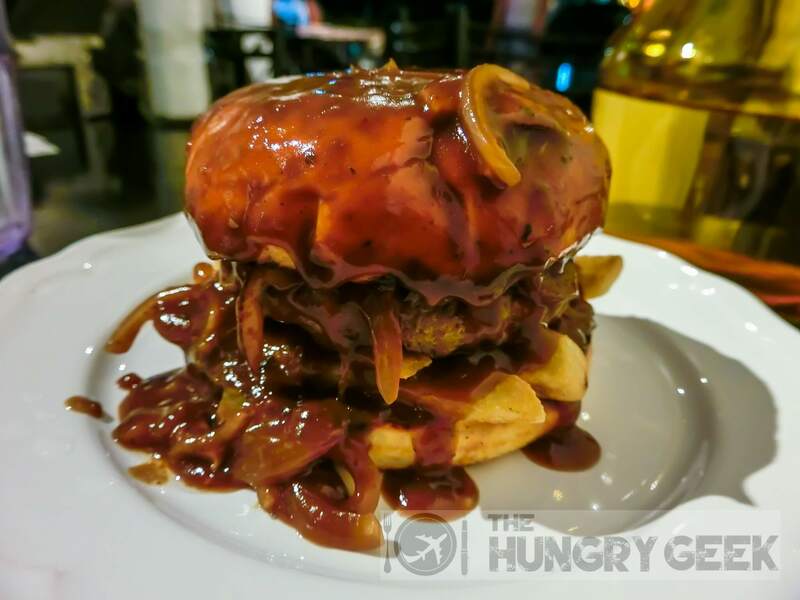 Don’t wait too long to finish this as the fries will lose their crispiness from all the delicious beef gravy after a while. We rate this 4.3/5 and a super large portion goes for S$15. The pictured serving is 2/3 the full portion size. 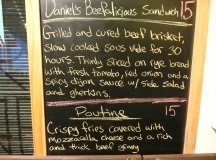 This is on the featured menu so we’re not sure if they will keep this around for long – come and try this while you can. Orecchiette is a type of Italian pasta that is shell-shaped. Genovese is a rich onion-based pasta sauce from Campania, Italy. The sauce is prepared by sauteing beef in a large number of onions for many hours. As you can expect, the pasta is al dente and combination of the Genovese sauce is just exquisite and delicious. The beef fragrance from the long sautee is absolutely gorgeous. We rate this 4.1/5 and you can get it at S$20. The salmon here is sourced fresh everyday. 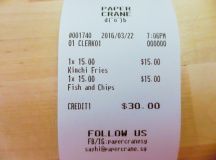 You don’t get any frozen salmon here at Paper Crane. The result is glorious. The grilled salmon has very crispy skin while being super tender on the inside. It is served with their usual super delicious fries and salad. We thoroughly enjoyed this dish and we rate it 4/5. 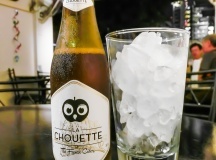 Given the freshness of it, there is a slight premium and you can get it at S$18. This incredibly healthy burger is made with roasted pumpkin, chickpea patty, lettuce, onions, roasted red pepper and eggplant relish in between brioche buns. It is served with chokos (like a sweeter zucchini) fries. This is a really healthy burger and vegetarians will really enjoy this. I’m a carnivore though, so this wasn’t really for me. 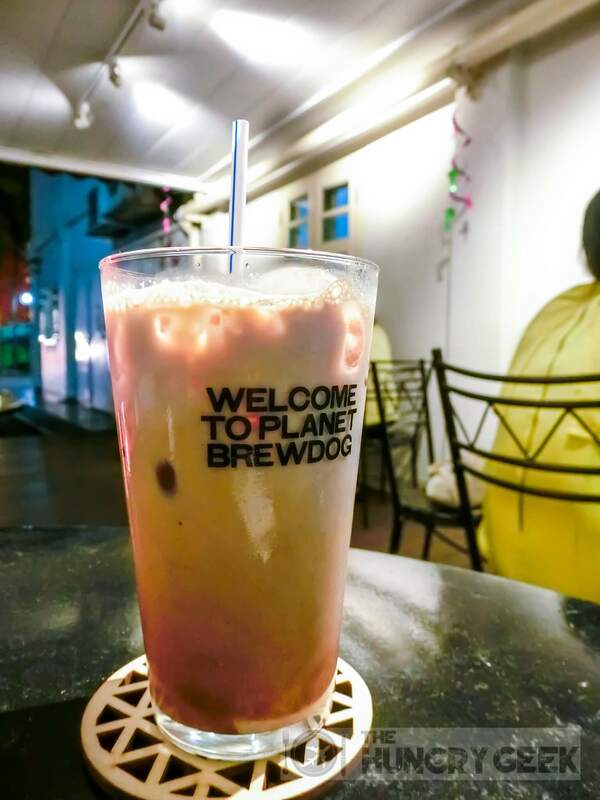 We rate this 3.5/5 and you can get it at S$15. Well so we didn’t really get to eat the sandwich, but we were given a sampler of the “grilled and cured beef brisket, slow cooked sous-vide for 30 hours”. Sous-vide a method of cooking where food is sealed in airtight plastic bags and placed in a water bath or steam environment. Yes, this beef brisket is absolutely tender, juicy and delicious. We have become fans of sous-vide cooking. 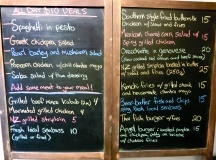 You can get the whole sandwich with the bells and whistles at S$15. This section will be updated with the food rating once we have consumed their full sandwich. 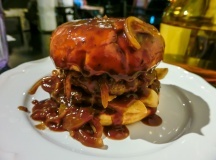 To round off there is that delicious Devil Burger, the sinful unhealthy companion of the Angel Burger that unfortunately did not make the main menu. We really liked eating that. 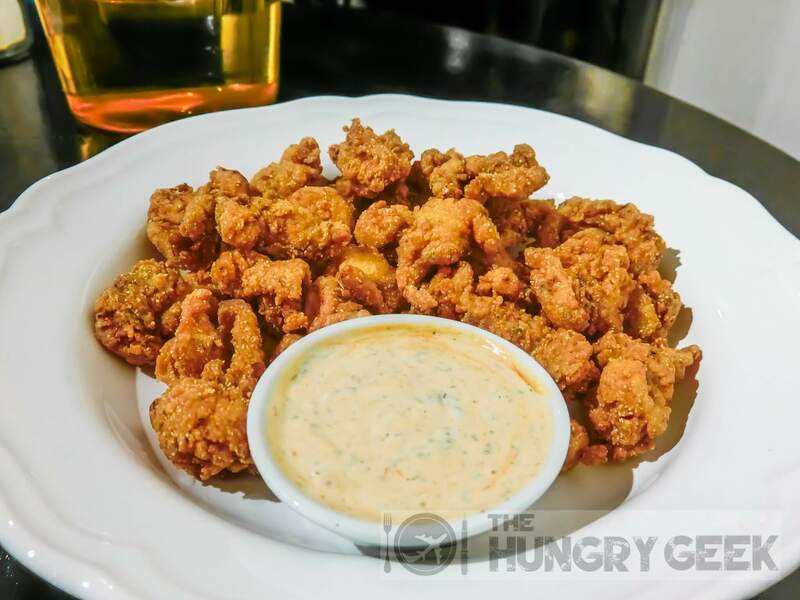 Next is the Popcorn Chicken with Chilli Cilantro Mayo that is basically the Southern Style Fried Buttermilk Chicken dish without the fries and with bite sized chicken instead. We were partial towards the full-sized chicken. 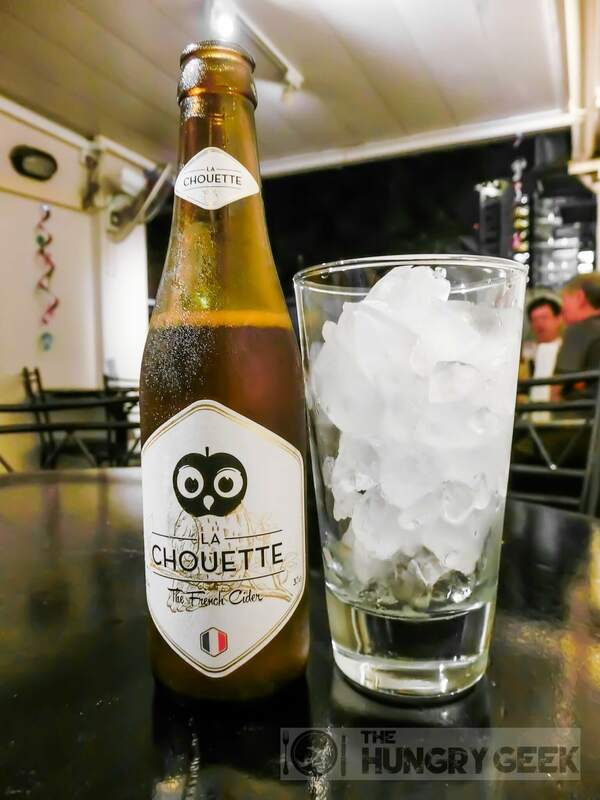 Lastly there’s that La Chouette French Cider and an off-menu Iced Chocolate drink. The external dining area has space for about 30 diners. The internal air-conditioned dining area fits about 4-6 diners. Well we’re really not too sure how long Paper Crane will stay ‘hidden’. We’re also not very sure whether we should be sharing our hidden gems like this. Our last hidden gem share went viral and that lone post was seen by more than 10,000 people in the span just a few days. 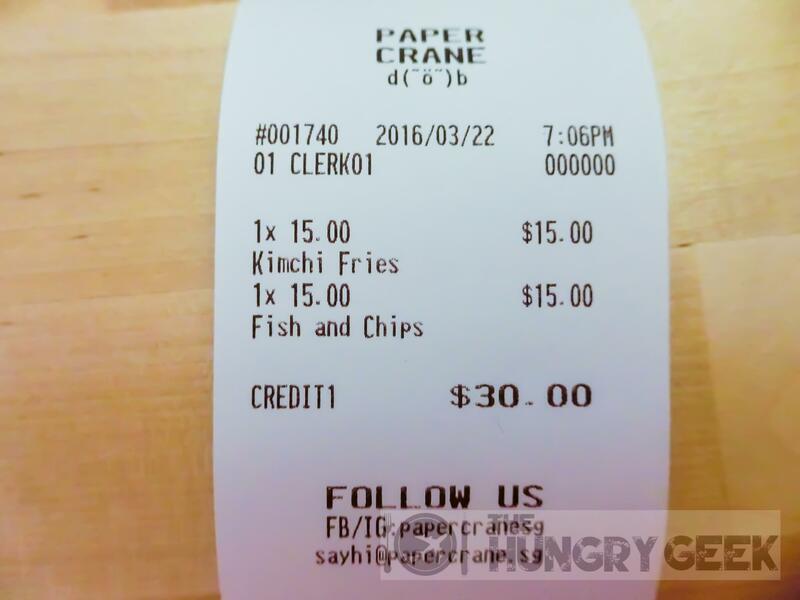 We recommend heading down to Paper Crane as soon as you can for a taste while there are still no queues. They won’t be ‘hidden’ for long. Update July 2016: As expected, Paper Crane is no longer ‘hidden’ and the seating is full during peak hours. ← Antoinette – Chilli Crab & Salted Caramel Croissants!